Locally brewed, Naughty Nurse IPA and Amber. If we were having a beer, you would be bringing some local news to the bar. I love this site – make your own sign! I visited Old Newgate Prison and spoke to the very nice young woman who is the Site Manager. She assures me they will open in July. I hope you have time to visit Cheryl’s site. Approaching Old Newgate Prison from the south. It still has an eerie feel to it. Lots of forest around here. Looking west from the parking lot down into the valley. Old Newgate Prison Welcome Center from the parking lot. Old Newgate Prison Welcome Center. Not open yet, but getting close. Looking beyond Old Newgate Prisonto the southwest. Looking forward to seeing what’s behind there. Looking back at the parking lot. I suspect it will be full in July. Tunxis Trio – Oh, so good. Not much activity with Miss Maddie this week. Connecticut Tourism meets Connecticut budget crisis. This is a pretty substantial prison wall. Looks like the prison was meant to last. So it’s a good idea to have it make money for the state now. It wasn’t a very good prison. One guy escaped three times! I guess it was a good idea at the time. Making the prisoners mine copper probably kept the budget under control. “No Facilities” – That’s where this blog’s name came from. Fortunately, I CT is small enough to get through without needing to stop. Yours is a big state if going N-S. Did you find places to stop easily on the way down and back from SC? OK, I wondered about the name and now I know! Along the toll road, there are plazas, where you can get gas and food at inflated prices. States in the Midwest and West have rest areas, thank goodness, but Judy makes a good point about DD, although I don’t shop/stop there. McD’s serves the same function in many places. Happy Saturday, Dan. The prison sounds like an interesting visit, even if not particularly effective during it’s heyday. I don’t eat like this every day, but I couldn’t pass up that Trio. I do like Dunki’s coffee, so if I need a break, I look for that sign. Thanks Amy. the sign is fake but I think they could definitely use it. I hope to finally tour the prison this summer. Hopefully, I’ll have pictures from inside the wall and inside the mine. That would not be a good place. I would imagine there’s quite a bit of negative energy there. Exactly why I would not go. I am extremely sensitive to energy. And even in my everyday life I have to be aware of where I go believe it or not. Sometimes however, negative energy cannot be avoided as you well know. The rest stop sign should read, “Those with teeny tiny tanks or the super jumbo coffee should probably stay out of CT after 3:30 p.m.” I would not do well on your highways if the rest stops were my only salvation. I hope that there are gas stations along the way. That is an extremely old prison. I can see why it feels eerie to you, Dan. Places like that tend to make the short hairs stand up. Lots of history here, though, so it might make for an interesting tour. Thanks Mary. The good thing about CT, is that it’s not that big. You can get through on a small tank (I like that). There are gas stations, but there’s also a nice (open) rest area in MA. The prison renovation has been interesting to follow. I am looking forward to taking the tour. The notion of being put to work in a copper mine to serve a prison sentence is a little mind-boggling. I can’t quite imagine the conditions. Of course, once I find out, I’ll report back. Are those prices on the menu next to the items? Still, I’ll take the seafood combo please. Yes, those are the prices. I don’t know what the exchange rate is and I don’t know how that compares to your place. Seafood in New England is very good, but it can be expenseive. The seafood at the bar is excellent. No restrooms 24/7!! Have they lost their minds? There must be a lot of people pulling over to the side of the road to, as my dad always said, go chase a rabbit! The Prison Welcome Center sure doesn’t look very welcoming. I hope this venture will be successful. The Tunxis Trio looks really good. You must have a vey happy tummy! Nice to see our girl Maddie relaxing. Looks like she may get some cot time in today. If you behave, she might let you sit out there with her! Closing the rest areas at 3:30pm is crazy. When I go to Boston, ‘m usually within the open hours, but in March, I had to leave at dark-o’clock to avoid a snowstorm. Fortunately, I can stay on the MASS Pike all the way to Springfield and sneak down to my place. That only leaves me with about 15 miles on no-bathrooms-here CT. I think the prison will be a nice place to visi once it opens. They are doing a pretty good job on restoration. I’ve been out of town this week, Ginger, so no Maddie time for me. I’ll catch up with her this afternoon. It might be warm enough to sit outside. Ha! I’m glad Cheryl is there to keep you in link. Sounds like she had her hands full today. 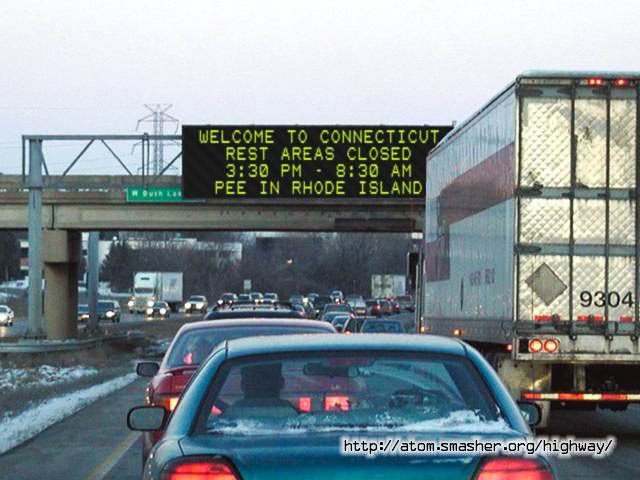 You cracked me up with “Please pee in Rhode Island’ after paying a toll”. The photos are great, but there needs to be one of a bathroom now. Seriously, a lovely place and you captured it beautifully. Hugs. Thanks Teagan. I think just the sight of the “No Restroom” sign would cause my editor to need a restroom. I hope they get this all figured out. No barbed wire on the top of the prison fence? No wonder prisoners escaped! Rest stops in FL are open for overnight stayovers–you can sleep in your car and the area is patrolled. I guess my taxes pay for this. “No Facilities”….yup, you got that right. Truckers are not happy with CT. They can only drive so long without a break, but we have very few places for them to take that break (fewer if they want some comfort). Every morning as I head to work, I pass trucks parked on the highway ramps. It’s illegal but they really don’t have a choice. Thanks! Unfortunately, this one almost wrote itself. If I was writing fiction, I couldn’t dream this stuff up. I’m not sure where the prisoners were housed, but I gather they spent their days underground. During the renovation, they installed new lighting in the mine shafts. I hope you can take pictures during the tour. I’ll get there this summer. I know all the backroads between work and home, but I have to get across that river at some point. Well good luck avoiding those tolls. Fortunately while in FL we only needed to travel the, for excursions. But we had a tag that we kept prepaid just in case. Still, it was about three bucks tops. Is there anything infamus about the prison, like Alcatraz? I’ve been reading the history. One guy escaped three times, so I guess it wasn’t very effective. It seems like cruel and certainly unusual, but I haven’t turned up anything that is remarkable, yet. Wow. I guess the third time wasn’t a charm for his prison marriage. Love the prison pictures. I do have to wonder the brains behind the Tunxis Trio. Must be a genius. Super post. Oh yes. In Texas, we have rest areas which I have never seen closed. Thanks John. I was in your general area this past week. The AIIM Board meeting and Conference was in San Antonio. Warmth! That trio is not three things I would normally put together – maybe Teagan – but I have to say, it was a great combination. It’s a good thing it’s not on the regular menu. In Texas, there’s no such thing as waiting for the boarder while driving, unless you live next to it. I wonder how many CTs would fit inside Texas? I think the question of how many CTs would fit is a good one for one of your fact based statical posts. You could do various states. You know like 12 CTs 3 New Mexico etc. I lived in San Antonio for ten years. I worked downtown. Did you do a Riverwalk stroll? Stroll, barge ride, street party, meetings up the wazoo and every kind of taco known to man. It’s a cool city. See, this is where the Midwest has it over the left and right coasts any day. You can pee almost anywhere around here. I walk Scooter seven miles a day and never have to worry about slipping into a restaurant and pretending I am a customer. Can you say that about New York City? I don’t think so. What do you think those Field of Dreams ballplayers were doing before they stepped out of the corn? We need to get that into our tourism literature. Ha ha – unfortunately, you do find that in New York, but there’s no corn field to duck into. They get creative…”make a crowd, boys, make a crowd…” You also have a lot farther to travel to get to the boarder. Some feelings of guilt there Dan? Prisons and all. I’ve been in a few (visiting for research!). But never a maximum. Up here we coddle our prisoners. I wasn’t impressed. Not with you! I’m always impressed with you, hi Maddie! Thanks Pam. I’ve never been in a prison for anything other than touristy stuff. I don’t think we coddle our prisoners, but we don’t force them into a mine shaft any more. I was in a minimum security and there no bars, they were called residents, three meals a day, milk and cookies at night and tv in all the ‘rooms’. Craft room, gym, computer room . . . Great place to spend the winter if you are homeless. Thanks Lynn. Old prisons are always a good tour. Sometimes they leave me sad, but it’s always interesting. You can make all kinds of signs. Sometimes, they’re just the right thing to add to a presentation or a post. Maddie knows how to handle a tough day. I like that place. That looks neat. Looks like you had good weather, too. Nice photographs. I forget which place, but it doesn’t matter — we took Moo to an event at a school somewhere in central Indiana and I kid you not, the school looked remarkably like a prison. I mean, really, a lot. Out in the middle of nowhere, a large tower, tall walls on two sides, a big fenced area… all it needed was barbed wire. I’ve lived in a place where there was nothin for miles and miles, and driven through places where there’s nothin for tens or hundreds of miles, and I’m always amused by people who think they’ll find a hotel, or a bathroom, or a gas station. I should write about that. Sign me up for that Tunxis Trio! And I’ll have a Meomi, cause I’m in the mood for that flat finish. It was cold, but a great day. It’s not open, but the site manager was fine with me just walking around. I’ll be back for a tour once it opens. I always thought of school as kind of a prison. But, I never went to one that looked the part. I remember driving from the moving van with our mother’s stuff in it, towing her car, through your neck of the woods and beyond. I kept wondering if we were going to run out of gas, but my brother new of “that station” in “that town” – we did find it. but there’s a big bunch of nothing out there. The Tunxis Trio was pretty good. I have your tour to look forward to this summer. July, you said? It is scheduled to open July 14th…we’ll see. Rest areas open from 8:30 til 3:30 is just crazy. Who needs a rest area at 8:30 am? Early birds, I guess. I read this to my husband since he lived most of his life in southeastern CT. He said it was because the DOT workers for the rest areas only worked 35 hours a week and got off around 3:30. Please pee in RI is funny. RI is a funny place anyway from what I hear. I get the impression there is some sort of rivalry ? between CT and RI. But I could be mistaken. He’s right about the 35-hour thing. RI & CT are both struggling but RI seems to be recovering faster. Part of the reason is that almost the entire state can now be a bedroom community to Boston, as our southwest corner is to NY. The governors are staging a little battle these days. They had a concert at the old Missouri State Penitentiary (The Walls) last summer with Wynona Judd. 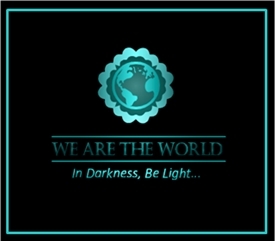 Its now a hub for paranormal and historical tours. Have not been. Not sure I want to? There are some historic prisons I’d like to tour. Not looking for paranormal, though. I have a hard enough time with normal-normal. Although, Wynona Judd could inspire me out of my comfort zone. I love that little dry stone wall! those thinks just knock me out. And thanks for the link to the make your own sign site. I may have some fun with that, some time. There is a toll bridge between Louisville, Kentucky and Indiana. We’re just waiting for them to slap tolls on the rest. They do sell (or maybe rent) transponders; if you cross often, they pay off, since they reduce your toll. So far, I’ve been able to avoid the toll, but I feel like my days of that are numbered. Once they put a toll in place, it’s like a drug to those people. More money, is all they see. I’m glad you like the prison. I’ve been making signs for presentations for a long time. Tourism is a good way to get revenue. Love the old prison wall. The pee sign is definitely photo worthy! Thanks, Dan. Thanks Jennie. I wish we promoted tourism better. There is a lot to see here. Yes, there is. You’re welcome, Dan. This is one of those posts that makes me shake my head in exasperation. The fireworks was the last straw. In addition to *celebrating* what is essentially a failure, what you didn’t mention was how expensive it is to have a fireworks display!! Sheesh. Ha ha – good idea, Joanne. I was on the phone with my best friend when the budget finally passed. He lives in an apartment near Bushnell Park, and he was trying to figure out why they were having fireworks in October. Then I saw on the news that it was because they had finally passed the budget – 90 days late! I don’t want to know how much the fireworks cost. If the prison opens on time, it will be due to the hard work of the people who have been working to shore up the foundation, the walls and the mine shaft. I’m sure the legislators will take credit. When things go well, there is never any shortage of people who are willing to step forward and take credit. Did you take Faith to the Newgate Prison? I loved the way it seemed scenic and bright azure blue skies on this day. The artistic stone engraving was a nice addition (donated art!) to this post, Dan. Faith and I will likely your the prison when it opens. I just drove over to get a few pictures. I was lucky to meet the site manager and get a little bit of the back story.